When the 18pr was introduced from 1904 the remaining 15pr B.L. 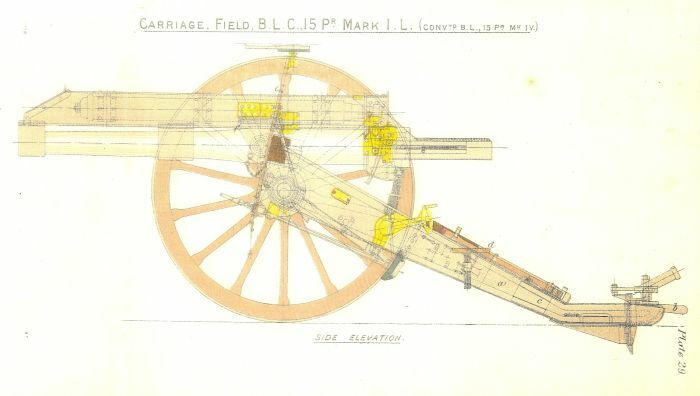 guns were converted to the 15pr B.L.C. Issued to the Territorial Army in 1909 and the Colonial forces. Some were used in South Africa.